Transformer is a device used to transfer electrical energy from one circuit to another. With an alternating current, atransformerwill either raise or lower the voltage as it makes the transfer. The transformer is based on two principles: first, that an electric current can produce a magnetic field, and, second that a changing magnetic field within a coil of wire induces a voltage across the ends of the coil. By usingtransformers, the voltage of the power can be stepped up to a high voltage. High resistance to electricity is desirable in the cores oftransformersto reduce eddy currents. A step Up Transformer receives a low voltage and converts into a higher voltage, and a Step Down Transformer does just the reverse. A transformer in which the output (secondary) voltage is greater than its input (primary) voltage is called a step-up transformer. The step-up transformer decreases the output current for keeping the input and output power of the system equal. .A transformer in which the output (secondary) voltage is greater than its input (primary) voltage is called a step-up transformer. The step-up transformer decreases the output current for keeping the input and output power of the system equal. A transformer in which the output (secondary) voltage is less than its input (primary) voltage is called a step-down transformer. The number of turns on the primary of the transformer is greater than the turn on the secondary of the transformer. A power conditioner is an electrical component designed to improve the quality of power supplied to a computer component by supplying voltage at the level that allows that component to operate properly. 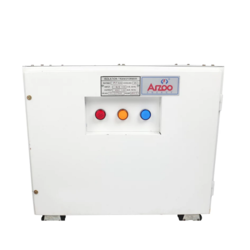 Power Conditioner is combination of stabilizer and isolation transformer so it functions on both the principles i.e. it stabilizes the voltage and also provide neutral to the output. 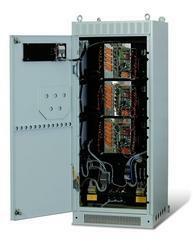 It comprises of an Isolation Transformer fitted with Servo Voltage Stabilizers. This Transformer eliminates all the types of electrical noises, predominantly common mode noises and many more. Since it isolates primary and secondary or separates neutral to ground bond on the secondary side, can be used to create separately derived source to combat current loops. We are the leading supplier of 25KVA Step Up Transformer made available to our clients at competitive prices. We are providing 25KVA Step Up Transformer. We are the leading supplier of 60KVA Step Up Transformer made available to our clients at competitive prices. We are providing 60KVA Step Up Transformer. 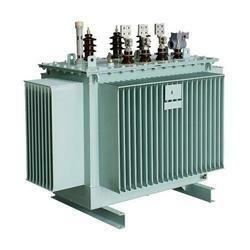 We are the leading supplier of 4KVA Step Up Transformer made available to our clients at competitive prices. 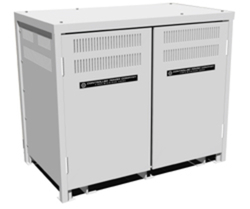 We are providing 4KVA Step Up Transformer. We are the leading supplier of 50KVA Step Up Transformer made available to our clients at competitive prices. We are providing 50KVA Step Up Transformer. We are the leading supplier of 80KVA Step Up Transformer made available to our clients at competitive prices. We are providing 80KVA Step Up Transformer. We are the leading supplier of 100KVA Step Up Transformer made available to our clients at competitive prices. We are providing 100KVA Step Up Transformer. We are the leading supplier of 90KVA Step Up Transformer made available to our clients at competitive prices. We are providing90KVA Step Up Transformer. We are the leading supplier of 40KVA Step Up Transformer made available to our clients at competitive prices. We are providing 40KVA Step Up Transformer. We are the leading supplier of 150KVA Step Up Transformer made available to our clients at competitive prices. We are providing 150KVA Step Up Transformer. We are the leading supplier of 7.5KVA Step Up Transformer made available to our clients at competitive prices. 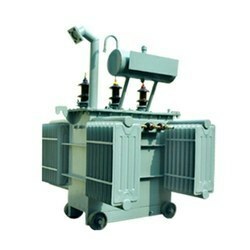 We are providing 7.5KVA Step Up Transformer. We are the leading supplier of 6KVA Step Up Transformer made available to our clients at competitive prices. We are providing 6KVA Step Up Transformer. 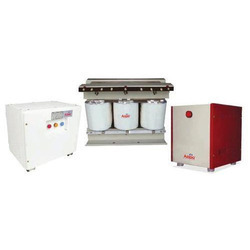 We are the leading supplier of 30KVA Step Up Transformer made available to our clients at competitive prices. 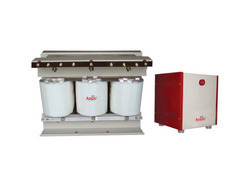 We are providing 30KVA Step Up Transformer.